. Published on July 15, 2018 . 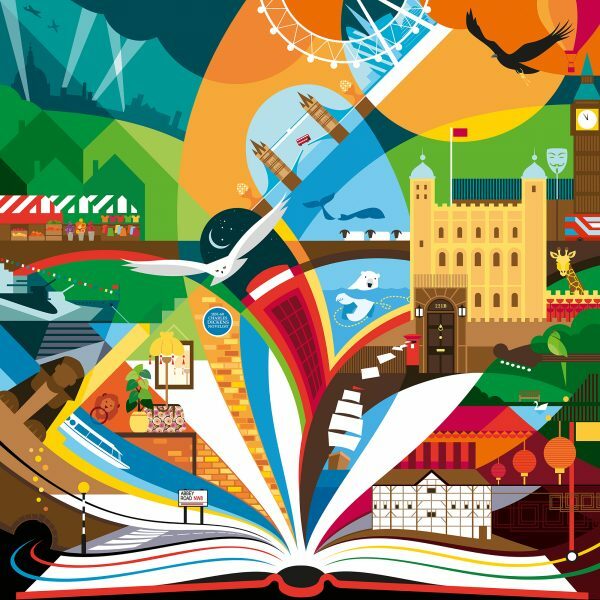 The Association of Illustrators (AOI) in partnership with the London Transport Museum (LTM) invite submissions to the Poster Prize for Illustration to the theme of London Stories. Submissions are free. Artists are invited to visually capture a familiar or lesser-known narrative in a single image. All stories, current or historical, real or fictional which feature this amazing city are welcome – your imagination is the limit. Stories could be those seen in a film or play, heard in poetry or music, or read in literature. They may be family anecdotes, or an impression of your daily observations. Your visual story could be inspired by London’s history or contemporary city living. What stories does London have to tell? The aim of the competition is to find 100 images depicting curious, interesting, real or fictitious stories about London to display at the famous Covent Garden Museum from February 2019 until the summer. There are cash prizes for the three winners (£2000, £1000 and £750).